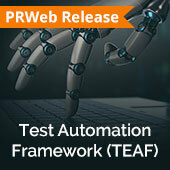 Royal Cyber team has an intelligent Test Automation Framework (TEAF) which helps organizations rethink Quality assurance and is vital for any successful automated testing process for business models to achieve better business outcomes and enhance agile processes. 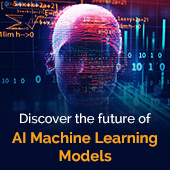 The workshop is meant to begin with a conceptual introduction of Machine learning models to provide a fast and flexible way to learn tomorrow’s technology. The idea behind creating this open workshop is to simplify the journey of ambitious AI data scientists and machine learning enthusiasts to accelerate their data science journey with the real-time use cases. 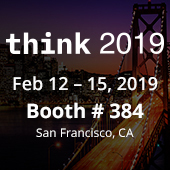 IBM Think 2019 will be held from February 12-15, 2019 in San Francisco, California. The conference brings thousands of business and technology leaders together to make the world of industry work smarter. The journey to Cloud, AI, Data Security, and other emerging technologies will be the focal point and one can treasure the expertise shared by thought leaders to modernize and secure enterprises. A session of thought-leadership and insights to help you drive your Intelligent Automation journey and create the most effective Digital Workforce. Providing a human-like approach to automate how applications are collectively used. 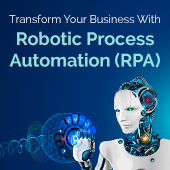 Give access to intelligent interfaces and delve into a trend of RPA by making it more fascinating with cognitive abilities. 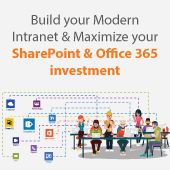 Microsoft Office 365 has started to become an increasingly exciting choice as an intranet or digital workplace platform for many organizations seeking for a scalable, manageable enterprise platform. In this session, we will dig-deep into Office 365 and how it can be utilized to contribute value to your digital workplace. 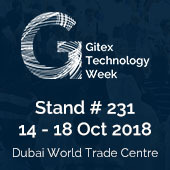 GITEX has 38 years of long-standing legendary Tech fair past where the most renowned technology brands come alive to showcase the latest trends in technology & innovation. 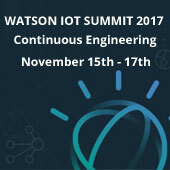 Attendees from over 120+ countries unpack the big conversations and latest solutions around AI, Blockchain, robotics, cloud etc. GITEX 2018 takes you on a multi-sensory experience in Dubai, October 14 – 18 2018, at Dubai World Trade Centre. Ecommerce is budding faster than ever. 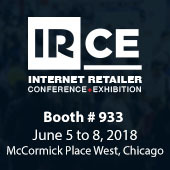 Internet Retailer Conference & Exhibition (IRCE) offers an event full of industry experts with the latest solution providers, and to associate with thousands of industry peers. 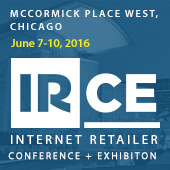 IRCE 2018 will take place in Chicago, June 5 — 8, 2018, at McCormick Place West. 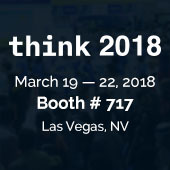 One of IBM’s showcase event, IBM Think 2018, is underway at the Mandalay Bay in Las Vegas, Nevada, to demonstrate IBM’s latest efforts in AI and enterprise cloud. The conference where thinkers gather to make the world of business work better and smarter. 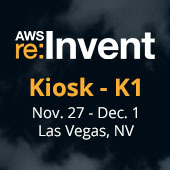 Amazon’s AWS re: Invent 2017 conference is set for November 27th through December 1st 2017 in Las Vegas. The conference entices Amazon’s customers, Independent Software Vendor (ISVs) and Managed Service Providers. Enterprises today need smarter and more agile development solutions to succeed. We help businesses grow and scale to customer demands and assist core development teams with our expert services. 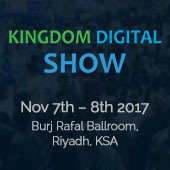 The Kingdom Digital Enterprise Transformation Show is designed to come together with the most innovative cutting-edge technology companies, you are invited to meet the most innovative products and solutions as well as the skills required to help the Kingdom’s SMEs and large corporations join the digital transformation. 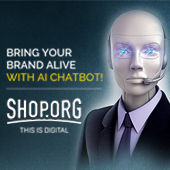 Shop.org is an annual eCommerce event that shows you the future of digital retail techniques and trends to increase your ROI and profitability. The event intends to provide a highly targeted and personalized shopping experience that is unified across various channels and interactions. This conference lets you hear from the brand leaders that are getting it perfect. 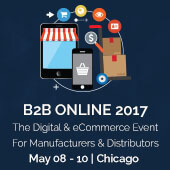 Internet Retailer Conference & Exhibition (IRCE) brings to you a conference packed with industry experts and extraordinary agenda. It is an exhibit filled with the latest and greatest solution providers, and a platform made for networking with thousands of like-minded industry peers. 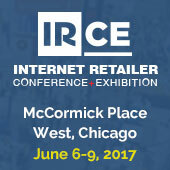 IRCE 2017 will take place in the world-class city of Chicago, June 6-9, at McCormick Place West. Come see us in booth #434! 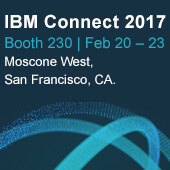 IBM InterConnect 2017 brings together the most ground-breaking technologies, world’s foremost technical experts, distinguished engineers, and IBM clients through keynotes and 2,000+ sessions. Royal Cyber is a Gold Sponsor of the event, join us there at MGM Grand, Las Vegas to be held from March 19 – 23, 2017. 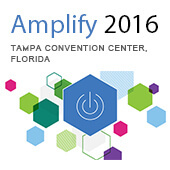 IBM Amplify is a premier event for the digital commerce and marketing community presented by IBM. The event is devoted to redefining customer engagement in the cognitive epoch. The scene of the conference will be at MGM Grand, Las Vegas for March 20 – March 22. 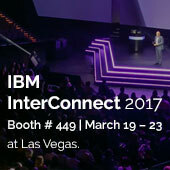 IBM Connect 2017 is the foremost workplace technology conference. Gain valuable insights and networking opportunities to move further, faster. 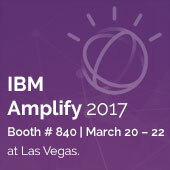 At IBM Connect, gain the insights you need to capitalize on the disruptive effects of cloud, cognitive and analytics that are changing. IBM positions Connect as the premier social business and digital experience conference. 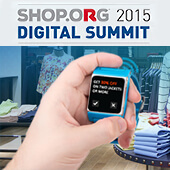 The Shop.org Annual Summit is digital retail’s most prominent annual event. It is where the best minds in the business unite and today’s trends and best practices are discovered. The Summit is held each fall and is produced for the entire digital retail community. 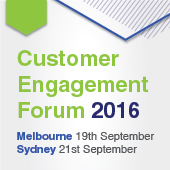 IBM’s Customer Engagement Forum 2016 is a free half day event for marketing, digital and customer insights professionals. It is being held in Auckland, Melbourne and Sydney on 16, 19, and 21 September, respectively. 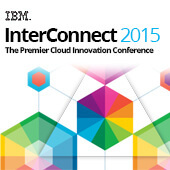 Royal cyber is going to participate in IBM InterConnect 2016 – The Premier Cloud & Mobile Conference. 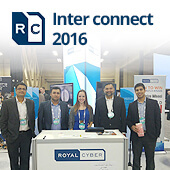 Be sure to visit Royal Cyber booth # 560 and meet our industry experts. 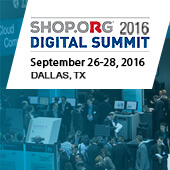 Royal Cyber’s team is exhibiting at Shop.org Summit, be sure to visit Royal Cyber in booth #1600 at the 2015 Shop.org Digital Summit. We will have our experts at the booth to share customer success stories in digital retail transformation.